Both models are affordable – any lady can afford them. Both have flexible shaving heads which follow body contours thus offer you with a clean close shave. Both models are wet & dry. They work with all types of shaving creams. Panasonic ES2207P has a pop-up trimmer which you can use for bikini trimming. 10 REASONS WHY WE LIKE PHILIPS SATIN SHAVE BRL140? 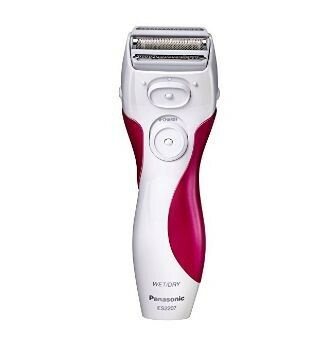 Affordable – Panasonic ES2207P Ladies Electric Shaver, 3-Blade – Check price on Amazon WHAT WE LIKE:- (1) Affordable electric shaver for women, (2) Smooth shaving foil & 3 sharp blades which cut as close as a manual razor , (3) Ideal for sensitive skins, (4) Sleek & ergonomic handle fits in your hand very well – offering you with maximum control, (5) 3 independently floating heads will offer you with a clean & smooth shave, (6) It glides over your skin smoothly following each and every contour for smooth & uniform results on legs, (7) underarms and bikini lines, (8) Handy pop-up trimmer which you can use for bikini trimming, (9) Hypo-allergenic razor blades with a protective foil cover for sensitive skins. Lavany Women’s Electric Razor Rechargeable Ladies Electric Shaver for Legs and Underarms – Check price on Amazon – WHAT WE LIKE:- (1) Suitable for Use on the Whole Body, (2) Elegant and Ergonomic Design, (3) Safe and Comfortable, (4)Portable and Easy To Clean, (5)100% water proof, (6)Can be used to shave legs, arms, underarms and trim bikini lines..
HOW TO GET RID OF WOMEN FACIAL HAIR? Use electric shavers: – This is a temporary solution because shaved hair grows back in a period of 2 – 5 days. However, this quick solution will give you some relief and confidence. To avoid wasting time, opt for wet & dry electric shavers for women featured in this post. A wet & dry electric shaver will give you a clean, close shave without nicking or pulling your skin. Use Tweezers: – Tweezers are small manual devices which costs less than $10 (quite cheaper than an electric shaver). To use tweezers – you need to have enough time because you will be pulling one hair at a time. It works very well because hair will take long to grow back (more like waxing), but the process is time consuming. I would not opt for this much as tweezers is cheap. Bleach facial hair:- This is a temporary solution because once you have a bath, the bleach / make-up will go off and your facial hair will show-up. Some women fear shaving facial hair thinking that it will grow back fast and longer. Dyeing facial hair so that it blends with your skin color makes facial hair less noticeable. Try Waxing:- This is my last option – it works very well but its quite painful. Results can last for over a month but you have to be ready for the pain. The process its self is easy and not expensive. But if you have a sensitive skin, this is not the best option for you because it can result into ingrown hairs. 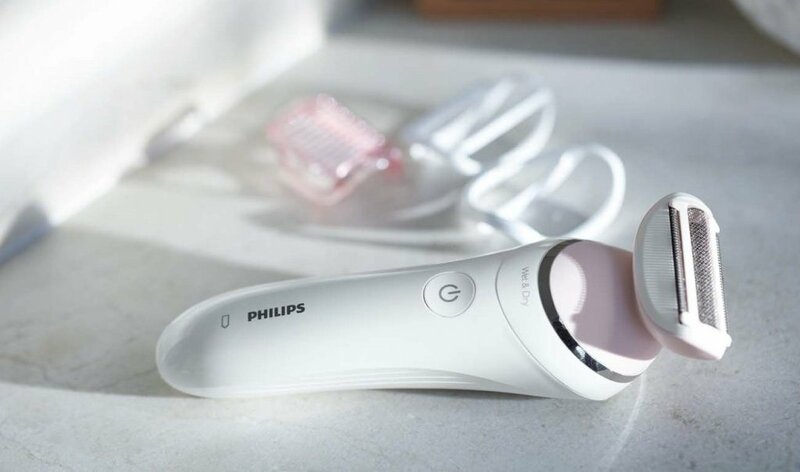 The Philips SatinShave BRL140 is an advanced Women’s Electric-Shaver that was designed to provide you with a smooth and clean shave on your legs or body with minimized cuts, bumps and other skin-irritations compared to manual razor-blades. On the other hand, this shaver is equipped with pearl-tip trimmers that help to protect your skin from irritation while its single floating-foil shaving-head facilitates for a more even and closer shave. 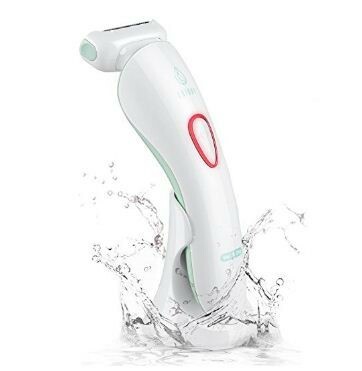 Additionally, this electric-shaver can be used wet or dry in-order to facilitate for maximum-convenience while its ergonomic-handle facilitates for easy handling and better reach all-over your body when shaving. it is also equipped with a rechargeable Lithium-Ion battery that provides up to 1-hour of cordless use after an 8-hour charge while the integrated battery-indicator light shows the battery-level so that you’re never surprised by a low-battery while shaving. 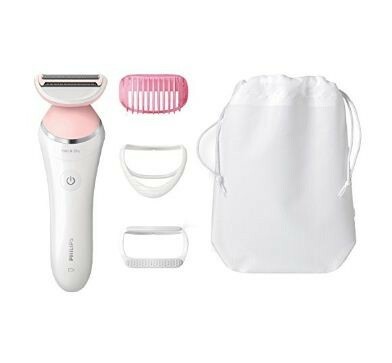 Lastly, this shaver includes a trimming-comb, soft glide-cap, travel-pouch and an efficiency-cap for gentle and effective hair removal from head-to-toe. Floating foil Head: The Philips SatinShave Advanced BRL140 Women’s Electric-Shaver features a floating-foil head that glides naturally over your body-curves and contours while maintaining close-contact with your skin in-order to achieve an even shave. Pearl-tips and safety-bars: This lady’s shaver also features rounded pearl-tips and safety-bars that lie under the trimmer-head in-order to protect your skin from irritation thus providing you with a more comfortable shave. Wet and dry: The Philips SatinShave is a wet and dry electric-shaver whereby it can be used to achieve a gentle and comfortable shave in the shower or used to achieve a quick dry-shave when you don’t have a lot of time to shave. An Ergonomic-handle: This electric-shaver also features an ergonomic S-shaped handle that is very easy to hold and steer in-order to facilitate for maximum control and better reach all-over the body when shaving. An inbuilt-Battery: the Philips SatinShave shaver features an inbuilt rechargeable lithium-ion battery that facilitates for 1-hour of cordless-use after an 8-hour charge. This makes the shaver very convenient to use whether you’re at home or when travelling. Battery indicator-light: it also features an integrated battery indicator-light that alerts you when the shaver needs to be charged so that you are never surprised by a low battery mid-shaving. This indicator also lights-up when the shaver is charging. The Panasonic-ES2207P is a Ladies, 3-blade, electric-Shaver designed to provide women with a comfortable and silky-smooth shave. In fact, this is a wet and dry shaver that will enable you to shave dry when in a hurry or enjoy a more comfortable and luxurious wet-shave in the shower using your favorite foam or gel. On the other hand, it is also features equipped with hypoallergenic women’s razor-blades that help to protect sensitive-skin by ensuring optimum-comfort when shaving while the integrated pop-up trimmer enables you to quickly trim longer-hairs and along the bikini-line. All in all, the 3 blade-system of this razor was designed to float while following and maintaining contact with every individual-contour of your body so that you can always achieve a close, comfortable and quick shave that captures even the shortest or stray-hairs. Wet and Dry Shaver-Operation: this electric-shaver is fully immiscible under water and can be used to achieve a wet-shave in the bathroom with lather or used to get a quick dry-shave at anytime or anywhere especially when in a hurry. 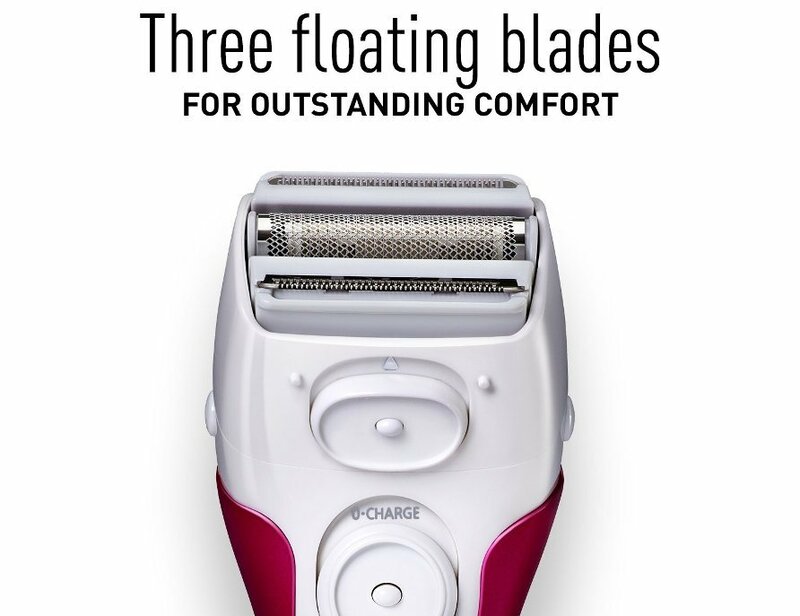 3 Floating-Head-System: it’s equipped with 3 independently floating heads that facilitate for a clean and smooth shave. In fact, the shaving-heads glide naturally along individual body-contours in-order to facilitate for a smooth and comfortable shave on the legs, under-arms and along the bikini-line. A Pop-up Trimmer: this women’s electric-shaver features a handy and convenient pop-up trimmer that helps to trim and detail the bikini-line while removing unwanted long and stray hairs anywhere on your body. Hypo-allergenic Razor-Blades and Foil: The Panasonic ES2207P shaver also features sharp, durable and hypoallergenic razor-blades coupled with a flexible and protective foil-cover that helps to prevent skin-irritations while shaving most especially on sensitive-skin types. So, you will be able comfortably shave your legs, arms and bikini-area without experiencing any skin-irritations. A personal shaver-kit: this electric-shaver also features a cleaning-brush, space-saving charger and travel-pouch which help to complete your personal shaving-kit most especially when travelling. The ETEREAUTY is 4 in 1 ladies shaver and trimmer designed to help women take care of their personal grooming needs. this shaver features 4 different pop on and off heads which include a general shaver-head which is designed for shaving your legs, a small precision-shaver for trimming curves under your arms and around bikini-area, a precision-trimmer for shaping sideburns and trimming the bikini-line while the facial cleansing-brush facilitates for gentle and thorough spa-quality skin-cleansing. 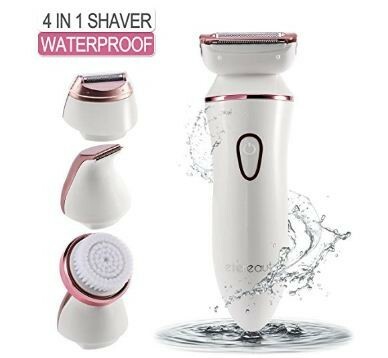 on the other hand, the ETEREAUTY shaver and it attachments are all waterproof and fully immersible under running water in order to facilitate for easy cleaning after shaving and you can even use this shaver to achieve a quick dry-shave or comfortable wet-shave in your bathroom using your favorite shaving gel/foam. Lastly, it’s also a rechargeable shaver that can be used cordless for up to 1-hour after an 8-hour charge. A general shaver-head: the ETEREAUTY comes with general shaver-head that is designed to help women shave their legs and arms easily with optimum comfort. Smaller precision-shaver: this shaver is great for use when trimming curves under your arms and when shaving around the bikini-area. Precision trimmer: it also comes with a precision-trimmer attachment that facilitates for quick and easy shaping of sideburns and along the bikini-line. Facial cleansing brush: this women’s shaver also includes a fine, soft-bristle cleansing-brush that will provide you with a gentle but deep pore cleansing and exfoliating wash thus leaving your skin feeling fresh and invigorated. An inbuilt rechargeable-battery: with this shaver, there is no need to replace batteries since it’s equipped with an inbuilt rechargeable-battery that uses low-voltage hence making it safe to use around water. However, you will need to charge this shaver for about 8-hours in order to achieve an hour of cordless-shaving. Wet & Dry shaving: the ETEREAUTY is a wet & dry shaver that can be used to achieve a dry-shave when in a hurry or used to get a more luxurious shaving-experience in your bathroom/shower using a favorite foam/gel. When it comes to shaving, a smooth skin matters most for ladies and that is why the Braun Silk-épil LS5160WD was carefully crafted to provide women with a gentle and smooth shave. This shaver features a rounded-head that gently adapts to the body’s natural contours of the female-form while the rounded trimmer-tips have been designed to smoothly glide over your skin with minimized skin-irritation. The included unique exfoliation-attachment on this shaver helps to revitalize the skin in order to facilitate for a smooth and radiant appearance while Optishave-attachment facilitates for a closer and comfortable in and out of the shower. Lastly, the Braun Silk-épil LS5160WD features an integrated bikini trimmer-attachment that helps to gently shape and safely groom unwanted body-hair. Wet & Dry shaving: The Braun Silk-épil LS5160WD is a wet and dry women’s electric-shaver that can be used either in the bath/shower for optimum-comfort or used dry when you’re in a hurry thus making it very convenient to use. Rounded-Head: This shaver is equipped with a round floating-foil head that gently adapts to your body’s natural contour thus ensuring closer and smooth shave at all times. Rounded Trimmer-Tips: it also features rounded blade-tips with an EasyGlide cushion in order to facilitate for smooth gliding over skin with minimized skin-irritation. Exfoliation-Attachment: This attachment helps to revitalize the skin for a smooth and radiant appearance. In fact, exfoliation-attachment will enhance on the general look of your skin-surface due to an exfoliation-pad that gently scrubs the skin to remove any dead-skin particles. Bikini Trimmer-Attachment: The Braun Silk-épil LS5160WD features an inbuilt bikini-trimmer that gently shapes and safely grooms unwanted hair in private areas of your body. OptiShave Attachment: this attachment facilitates for a close and comfortable shave any shaving-angle in and out of the shower. In fact, the Optishave-attachment also allows for faster pre-cutting of longer-hairs. The Lavany is a high-performance, Women’s Electric-Razor designed to provide you with complete body-shaving experience. In fact, its 3-in-1 shaver that comes with a straight-blade head that helps in trimming arms and legs, a curved-blade head that helps to remove hairs from hard-to-reach areas like underarms and along the bikini-line while the floating-foil head provides women with close, comfortable and safe shaving-experience. On the other hand, its Multiflex head-design glides gently along every curve on the body in order to facilitate for a close, clean and comfortable shave while the integrated illumination-light helps to reveal even the finest hairs in order to ensure that you don’t miss-out anything while shaving. Additionally, the Lavany is a wet & dry shaver that can be used to achieve a comfortable wet-shave or a quick dry-shave and it’s even 100%-washable in order to facilitate for quick and easy cleaning under running tap-water. It also features an inbuilt rechargeable-battery that can provide you with up to 1-hour of cordless operation after an 8-hour charge. Lastly, this shaver features 2 charging-modes whereby you can charge it via a charging-stand or by directly connecting it to the adapter of the power-socket. The charging-indicator will light-up during charging and when the battery is low. Floating foil-head: the Lavany Women’s Electric-shaver features a general foil-head that facilitates for a close and safe shave without experiencing any skin-irritations. Straight-blade head: it also features a straight-blade attachment head that helps women to trim hairs on their arms and legs easily with optimum-comfort. Curved-blade head: the Lavany Women’s Electric-shaver also features a curved-blade head that helps in removing hair from hard-to-reach areas like underarms and along the bikini-line. MULTIFLEX Head-Design: this shaver is equipped with a flexible shaving-head that glides effortlessly along the curves your body in-order to facilitate for a close, clean and comfortable shave. Inbuilt Illumination-Light: this light helps to reveal the finest hairs when shaving so that you don’t miss-out anything. This will actually enable you to achieve an extra close and thorough shave on any part of your body especially when shaving under low-light areas. Wet & Dry operation: This shaver features an IPX7 waterproof-design that enables you to enjoy a comfortable wet-shave while in the shower or quick dry-shave when in a hurry. The Lavany-shaver is also fully-washable under running tap-water in-order to facilitate for quick and easy clean-up. An inbuilt rechargeable-battery: this ladies-shaver features an inbuilt rechargeable-battery that provides up to 60-minutes of cordless shaving after being fully-charged for about 8-hours. Additionally, the integrated charging-indicator will light-up when the battery is low and during charging. 2 CHARGING-MODES: The Lavany Women’s Electric-shaver features 2 charging-modes whereby it can be charged with a charging-stand or directly connected to the adapter and then to the power-socket. This makes it very convenient to use especially when travelling. An Elegant and Ergonomic Design: The Lavany Women’s Electric Shaver features a unique streamlined body with an elegant and attractive shape. Additionally, its ergonomic handle ensures a comfortable-grip and makes it is easy to control the shaver especially when trimming hairs in hard-to-reach areas.